With Tony Romo and Dez Bryant still on the shelf and the offense in sorts, maybe the best thing going for the Dallas Cowboys at this moment is the fact that they play in a weak NFC East. Hall of Fame quarterback turned FOX analyst Troy Aikman reminded Cowboys fans of this late during Sunday’s broadcast of the team’s fourth consecutive loss, a 27-20 gut-kick to the Giants. 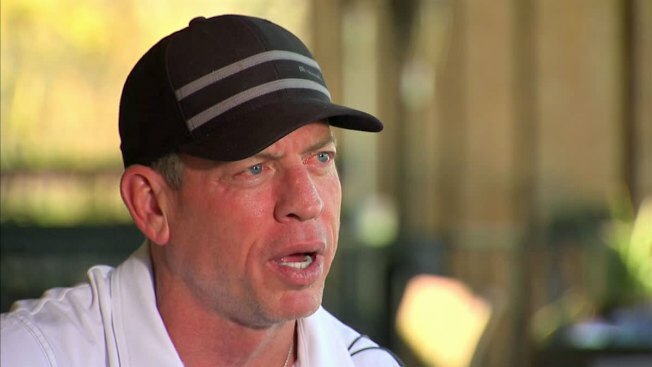 “I don't see any scenario where the Cowboys are not alive in that division,” Aikman said, via the Dallas Morning News. As detailed by Barry Horn of the Morning News, the FOX team was actually fairly optimistic about the Cowboys across the board on Sunday. Terry Bradshaw, in the studio, even offered up a defense of Cassel. Irvin on Hardy Outburst: "It's Your Second Game, Man"